What does Morgan Tsvangirai’s death mean for the Movement for Democratic Change (MDC) and for the opposition more broadly in a time of great political change in Zimbabwe? It’s ironic that the two men who shaped Zimbabwe’s political landscape have both recently left centre stage. Tsvangirai succumbed to colon cancer on 14 February, and Robert Mugabe was forced to resign by the army in November 2017. No one anticipated that the two men would exit Zimbabwean politics within months of each other. Valentine’s Day this year also saw the resignation of South Africa’s leader, Jacob Zuma, and the inauguration of Cyril Ramaphosa as president. Ramaphosa is a businessman without liberation credentials, and a player in the broader political dynamic of post-Mugabe Zimbabwe. Tsvangirai’s death comes during an important transition in Zimbabwe’s national politics. ‘When Mugabe was removed from office the whole country celebrated, when Tsvangirai died, the country wept’, noted opposition MP Eddie Cross. It was a fitting farewell for a man who has changed the face of Zimbabwe completely in the past 37 years—playing a role as important in many ways as that of Mugabe. The latter held almost-absolute power for 37 years but left Zimbabwe as one of the poorest countries in the world in terms of per capita GDP. When he dies Mugabe will get a state funeral and a gun carriage, but he will not get the royal send-off that Zimbabwe gave Morgan Tsvangirai. Zimbabwe’s new leader, Emmerson Munangagwa, has clocked 100 days in office but his administration is struggling to gain the confidence needed to stem the cash crisis and to change the lives of ordinary Zimbabweans. In his inauguration speech in November and all the way to Davos in January 2018, he struck the right chord for international investors, promising to open the country for business and vowing to arrest cash shortages in the immediate term. That pledge remains a pipe dream, in part because the Trump administration has just extended sanctions for another year. Munangagwa also faces a challenge in Zimbabwe’s Constitutional Court. The opposition Liberal Democrats filed suit last week arguing that Munangagwa’s presidency is illegitimate because it came through a military coup. 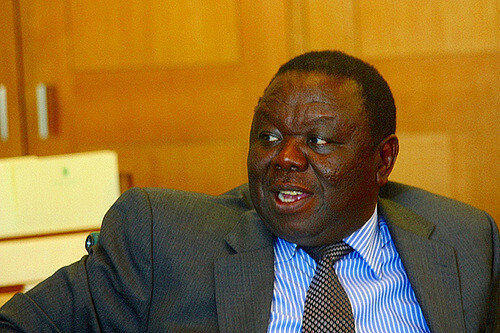 Morgan Tsvangirai had hoped to create a united opposition behind one presidential candidate. With national elections around the corner, there had been an imperative for the MDC leadership to be resolved quickly. After Tsvangirai’s death, the party’s national council met quickly to appoint Nelson Chamisa, one of the party’s deputy presidents, as the acting president for the next 12 months. However, MDC Vice President Thokozani Khupe and other senior members of the MDC’s national council don’t recognise Chamisa’s appointment. This sets the stage for a possible split in the party just before the elections. Tsangvirai’s last significant political achievement was the formation of the MDC Alliance that now includes Tendai Biti’s People’s Democratic Party and other opposition parties. At Tsvangirai’s burial at Hamunikwa village, former Zanu-PF vice president and now leader of the National People’s Party, Joyce Mujuru, announced her decision to join the MDC Alliance, although this move was later repudiated by her party. 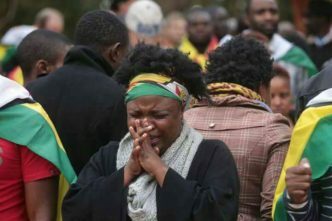 Tsangvirai’s death has reminded Zimbabweans of the long journey of the last 18 years, the brutality of ZANU-PF and the challenges that remain in Zimbabwe’s path to democracy. The MDC could use this opportunity to regroup, end internal squabbling and build a winning coalition on the back of Tsvangirai’s inspirational leadership. 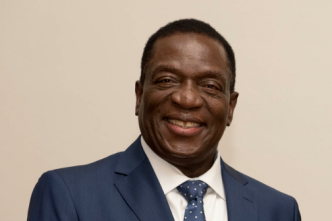 His political integrity stands in sharp contrast to the sordid political past of ZANU-PF’s leader and Zimbabwe’s current president, Emmerson Munangagwa. Both Tsvangirai and Mugabe have left a legacy of internal turmoil and discord within their respective political organisations. Within the MDC, violent factional fighting over Tsvangirai’s succession has broken out. And this week Mugabe gave his blessing to the formation of the National Patriotic Front, an opposition political party that has broken away from ZANU-PF. At the grassroots, MDC is very much alive and well given the numbers that attended Tsvangirai’s funeral from around the country. The MDC Alliance is strong, and Chamisa has been endorsed by alliance leaders as their candidate in the presidential election. Chamisa is 40 years old, a lawyer, and has been in the MDC top leadership since 2000. 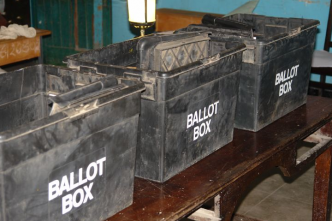 Recent statics published by ZEC show that of some 5 million registered voters, 60% are aged 18–40. Chimisa is a representative of a new generation of leaders who can take Zimbabwe forward and finally bring about the real change that Tsvangirai fought for all his life. Jacqueline Zwambila is Zimbabwe’s former ambassador to Australia. Rather than return to Zimbabwe, she requested asylum in Australia and now lives in Canberra. 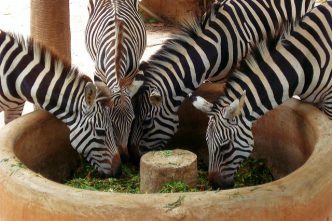 Image courtesy Flickr user Nick-Clegg.